Well, I can relate. In the midsts of all that amazingness, I felt overwhelmed on several occasions: “So much to do, not enough time!”. Let’s be honest with ourselves. We’re badass women entrepreneurs; we’re change-makers supporting our fabulous clients; and we’re friends, mothers, daughters, wives…so many hats to wear! No wonder sometimes it can get a bit too much. There are a few easy fixes when it comes to dealing with Ms. Overwhelm. But I also identified another source of leakage of my time and focus in the past – the way I communicate with my clients. I get questions everywhere – in my group program groups, Facebook messages, emails, etc. – and I encourage them! I love questions as we all learn from them. But jumping from one place to another and answering questions left, right and centre can get a bit too much. So, I clarified with my clients how to communicate and ask questions as well as scheduling allocated times for myself each day to answer those questions. Nobody is going to get hurt. All the questions will still get answered and I just created lots of mental space (yep, overwhelm is often ONLY in our minds!) which, I believe, will help me to serve my clients even better. So a question for you: Where can you better reinforce your boundaries? Where else do you say “Yes” when you mean “No”, even in subtle ways? I have three fabulous ladies on my team and I would not change them for the world. But. None of them worked at their full capacity. So, back then, I spent about half a day reviewing where else I can let go – delegating and training where needed. Luckily, we all know that fears are just that. Fears. (False Evidence Appearing Real). They mean nothing. Overcoming our fears, big or small? Always worth it. Always. We’re never alone in this game. There’s a deeper part of ourselves – call it the Universe, God, Higher Self – that is completely at our beck and call. It’s 100% behind us and responds to all of our requests. And the big U has got very many ways to accomplish what we aim for. It can do it in an infinite number of ways and is much smarter than our conscious minds can comprehend. So whenever I feel a bit “behind” with my plans because “there’s not enough time”, I repeat this mantra to myself and feel the truth in it. Does it help? You bet. 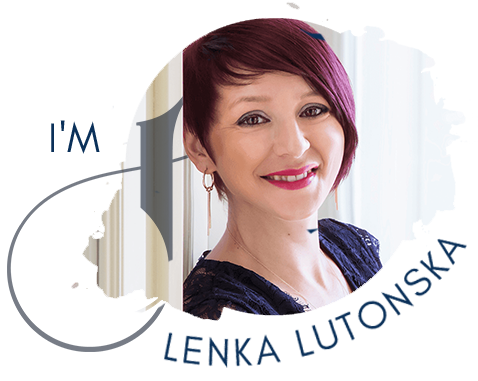 One of my intentions this month was to start working with new, amazing, high-end clients via my Extraordinary Growth Mastermind. The next thing? Three new wonderful, high-end clients simply “appeared”. You know, those clients that you know will be a dream to work with and that you’ll help them so much. Well, thank you my dear clients. And thank you Universe. 4. OFFLOAD TO THE UNIVERSE. Ok, point two was a bit woo-woo. But I find that woo-woo things work equally (or even better at times) than all things practical. So here’s one more. I do this as part of my weekly planning (Oh, another little tip right there: Do you plan your week ahead in detail? It helps so much!) but you can do it anytime you feel a bit overwhelmed or simply want to accomplish way more than you have time for. 1. Get a sheet of paper and create two columns. Label the first column “Me”; the other column will be labelled with “Universe”. 2. On the left side (“Me” side), write those things that you’re ready and willing to take action on this week – those things that you feel inspired to do. On the right side (“Universe” side), write down everything you want to achieve this week but don’t have direct control of. Include things you don’t know how to do or achieve; those that make you feel overwhelmed; and things you’re not ready to take action on (internal resistance); also things you don’t have resources to do. Then allow the Universe to handle those things for you. Trust! Sounds too simplistic or woo-woo? Well. Give it a go. Better than adopting a slave girl mentality – even for a day, even for an hour. Here’s to your fabulous (and fabulously productive) week ahead! Okey dokey Gorgeous – ready to ditch your fears, put your big girl pants on and create more growth in your business and your life with it? Are you saying you are beyond ready to scale your business to multiple 6 or 7-figures and make an extraordinary difference in the world? Your time to screw playing small and leap to your extraordinary growth is now? Then I have a great news for you! I’m opening a new Extraordinary Growth Mastermind Group – a 4-month exclusive expansion experience for a small circle of special women. 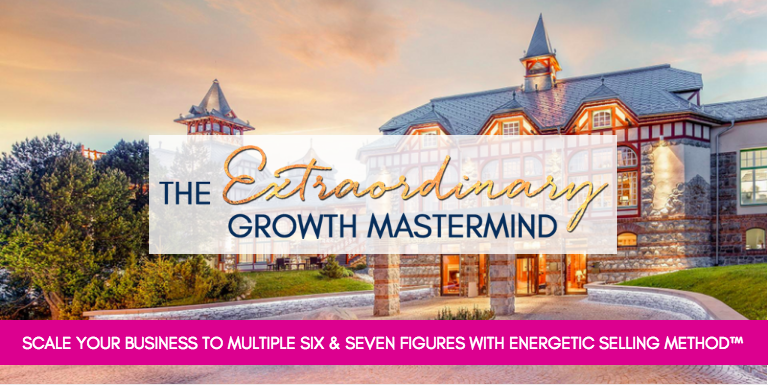 If you are ready to grow and scale your business to multiple 6 and 7-figures Extraordinary Growth Mastermind can help you. Check more details here or apply for a complimentary call with me here.